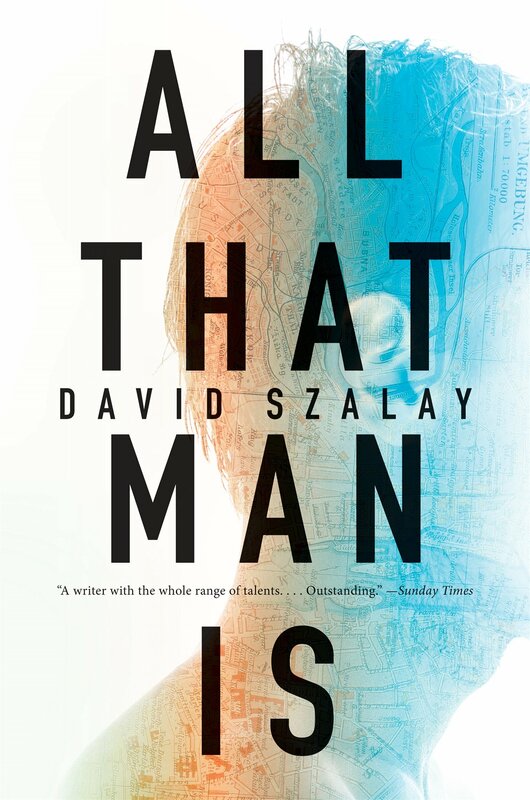 Our final shortlist book is All star Man is by David Szalay. Four of our panelists read this book. Read what we think of its odds of winning the prize. This Monday we will each make our final predictions for the winner. Amazon Synopsis: Nine men. Each of them at a different stage in life, each of them away from home, and each of them striving–in the suburbs of Prague, in an overdeveloped Alpine village, beside a Belgian motorway, in a dingy Cyprus hotel–to understand what it means to be alive, here and now. Tracing a dramatic arc from the spring of youth to the winter of old age, the ostensibly separate narratives of All That Man Is aggregate into a picture of a single shared existence, a picture that interrogates the state of modern manhood while bringing to life, unforgettably, the physical and emotional terrain of an increasingly globalized Europe. And so these nine lives form an ingenious and new kind of novel, in which David Szalay expertly plots a dark predicament for the twenty-first-century man. Jen’s Thoughts: By far my least favorite book on the longlist in terms of content. Why it could win: It’s well written and as much as I disliked it, I can’t deny that Szalay is a talented writer. David Szalay is a darling of literary critics. The book recently won the Gordon Burn award for being a work that “subtly changes the way you look at the contemporary world.” Clearly professional reviewers like it more than I did. Why it might not win: It’s not really a novel but rather a short story collection. I personally didn’t think it was a particularly nuanced or complex analysis of modern day masculinity. I found the stories to be repetitive and overly gloomy in an unrealistic way. Book Worm’s Thoughts: This was my least favourite book on the list and personally it would not have made the shortlist. Why it could win: Because there is no justice in the world? Because the judges are mad? On a serious note it could win because the way the book shows the stages of a man’s life is actually quite original although very bleak and depressing. Why it might not win: Because it is bleak, depressing and not representative of all that man is. Why it could win: 1. To irritate this panel 🙂 2. Some perceived depth? 3. Perhaps the characters are particularly relatable to the men on the panel. Why it might not win: I thought most of the Longlist books I read were better than this, so I’m not quite sure what was seen in it to begin with. Kate’s Thoughts: Didn’t read it. Didn’t want to. Why it could win: Men like books about men? Why it might not win: There are better books on the list? Andrew’s thoughts – I did not care for this book at all. I found it to be a stereotypically myopic view of masculinity that suggested sexual desirability and status were the two things that motivated and defined modern man. Despite Donald Trump’s popularity, I’d like to think that isn’t true. Why it could win: It somehow made the short list so someone must have liked it. The writing is superb if you enjoy short, declarative sentences (which I do) and the conceit of viewing life through a series of vignettes depicting different men at progressive stages of life is interesting. Why it might not win: Is this a novel or a collection of short stories? Either way, this is a bleak, depressing book that proved to be an unenjoyable read. We want to hear from you. Have you read it? What did you think? Do you think it will win the 2016 Man Booker?